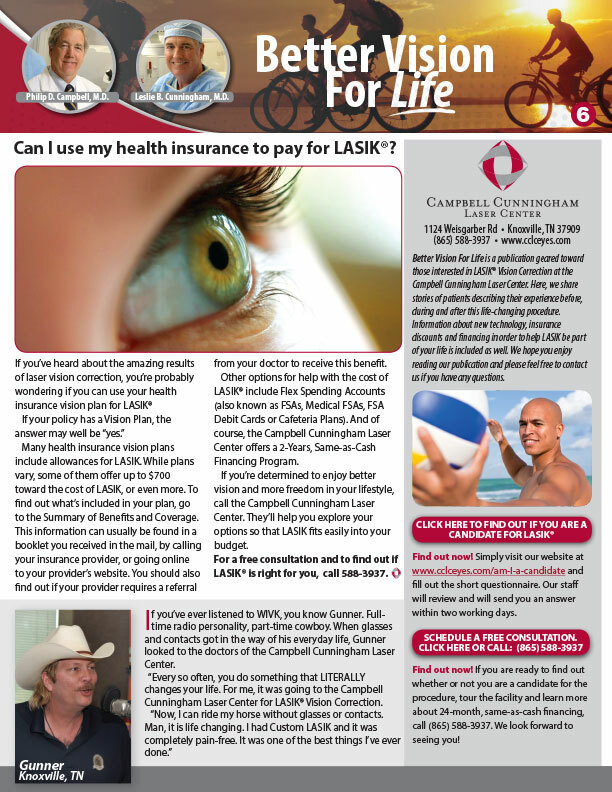 Can I use my health insurance to pay for LASIK®? If you’ve heard about the amazing results of LASIK® vision correction, you’re probably wondering if your health insurance plan can help you pay for it. The answer may well be “YES”. If your policy has a Vision Plan, you may qualify for an incredible discount. Many health insurance vision plans include allowances for LASIK. While plans vary, some of them offer up to $700 toward the cost of LASIK, or even more. To find out what’s included in your plan, go to the Summary of Benefits and Coverage. This information can usually be found in a booklet you received in the mail, by calling your insurance provider, or going online to your provider’s website. You should also find out if your provider requires a referral from your doctor to receive this benefit. Other options for help with the cost of LASIK® include Flex Spending Accounts (also known as FSAs, Medical FSAs, FSA Debit Cards or Cafeteria Plans). And of course, the Campbell Cunningham Laser Center offers a 2-Years, Same-as-Cash Financing Program with payments as low as $99 per month per eye. If you’re determined to enjoy better vision and more freedom in your lifestyle, call the Campbell Cunningham Laser Center. They’ll help you explore your options so that LASIK fits easily into your budget. For a free consultation and to find out if LASIK® is right for you, call (865) 588-3937. If you’ve ever listened to WIVK, you know Gunner. 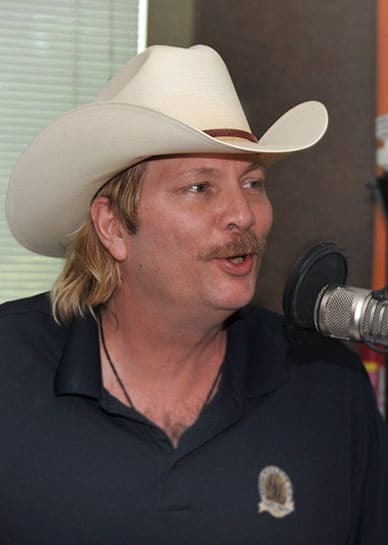 Full-time radio personality, part-time cowboy. When glasses and contacts got in the way of his everyday life, Gunner looked to the doctors of the Campbell Cunningham Laser Center. “Every so often, you do something that LITERALLY changes your life. For me, it was going to the Campbell Cunningham Laser Center for LASIK® Vision Correction.